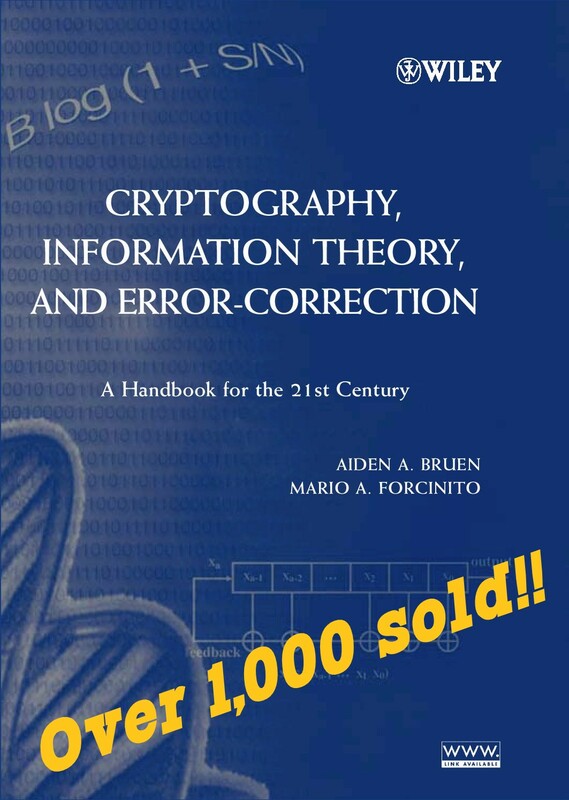 Welcome to Crypto-Blog, the weblog for Encryption, Information Theory and Error Correcting Codes. Information its accurate and secure transmition are essential to modern life. All the communication infraestructure is based one way or another in these three aspects of information mangement. Even the advancement of other science such as biology benefits from the insights gained by the developments in information sciences. I believe that far from being the exclusive domain of academics and geeks, the fundamentals and its application are easy to understand for most people. This is a modest attempt to bring some clarity and understanding of the main issues to a wider public. Feedback in the form of comments and questions are always welcome. I will try to keep comments open as much as possible, with the obvious exceptions of abusive/insulting language or spam.